For many years Andy Robertson and his team have been serving adrenalin junkies with a menu of wet and wild adventures in the Scottish Highlands. But can they repeat this experience in Marrakech? We sent our Editor to find out. “I had known about Andy Robertson’s Splash Adventure Activities for a couple of years and we had shared e-mails in the past. So when the opportunity to assist Andy with the filming of Channel 5’s The Gadget Show came up…. 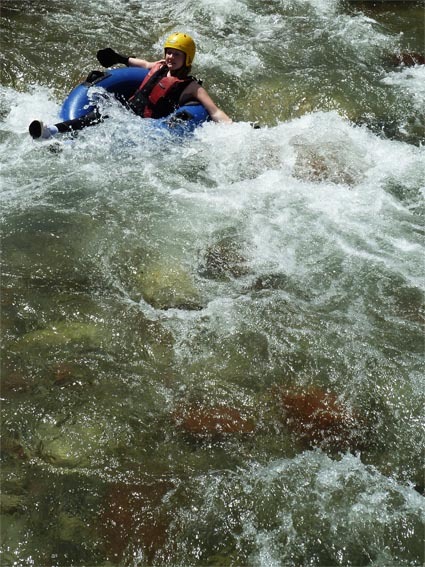 I was keen to experience and be involved in the behind-the-scene running of a Splash Activity”. Andy is laid-back, conscientious, professional and very good company. A great sense of humour and genuinely motivated to ensure that his clients enjoy a fantastic experience. 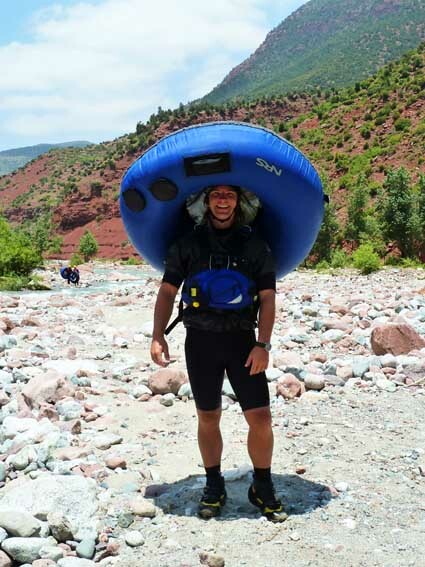 The Gadget Show wanted to test Waterproof Cameras and a plan was hatched to send the presenter Pollyanna Woodward down a stretch of the Ourika Valley Gorge on an inflatable tyre inner-tube, which has been specifically designed for “Tubing” down rivers. Andy and I “hit-it-off” immediately as his early morning alarm had failed and I saved his bacon by phoning his mobile, waking him up, whilst keeping the Gadget Show Crew in coffee and extended breakfast conversation. From outset, to my mind, we made a good team. 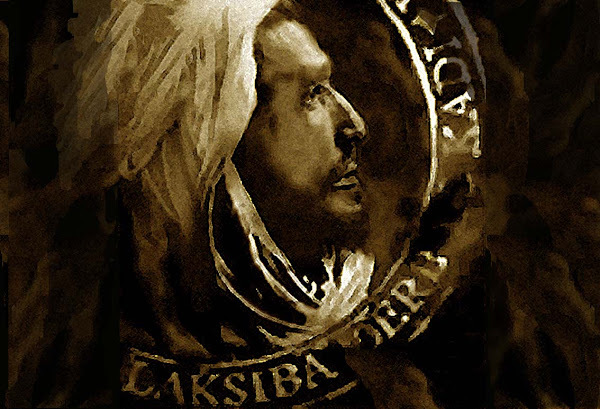 The trip to the Ourika Valley from Riad Laksiba: As Riad Laksiba is situated in the Kasbah district, at the Southern end of the Medina next to Bab Ksiba, could not be easier. Out of Bab Ksiba, turn left and keep going until you are in the foothills of the Mighty Atlas mountains ! (approx 45 mins, with excellent scenery en-route). 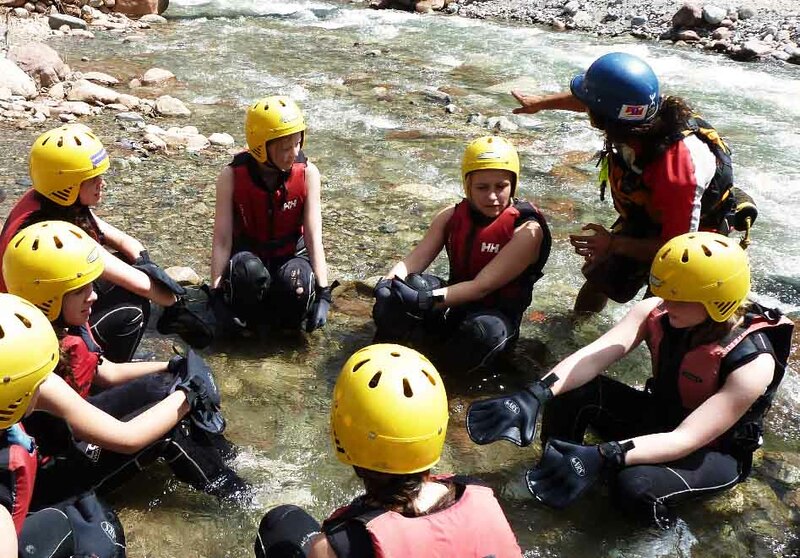 SPLASH has a base in the Ourika Valley which acts as a storeroom, changing room, toilet facility. The base is above a convenience store so water and snacks etc. can also be purchased. At the base Andy distributes wetsuits, helmets, buoyancy jackets, training shoes and webbed gloves. Participants then change into their new apparel to ensure that sizes are ok and adjustments made. 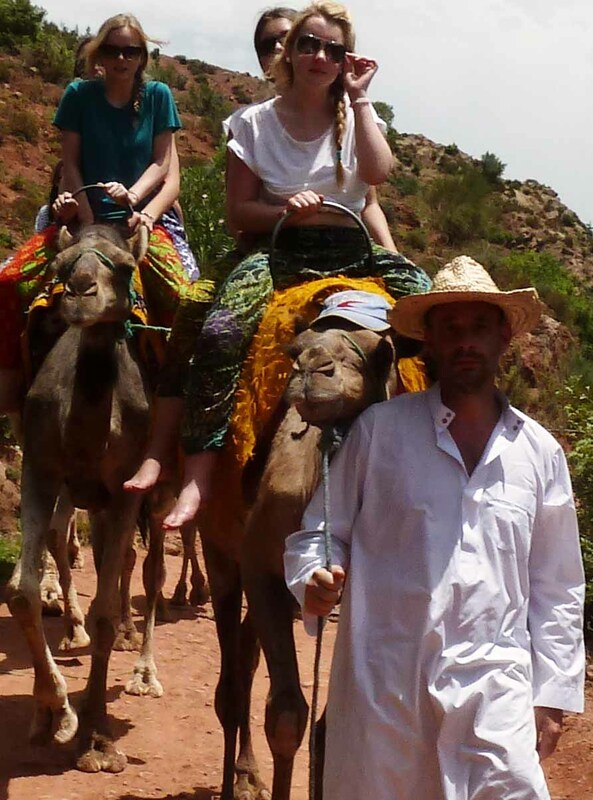 Personal possessions can be secured at the base and when everybody is suitably adorned the entourage continue up the Ourika Valley to beautiful location where the road meets the gorge and the possibility to access the water is easy and safe. The Gadget Show crew, like all Splash clients, then go through a comprehensive safety briefing and are given an understanding on “how best to pilot ones vessel”. 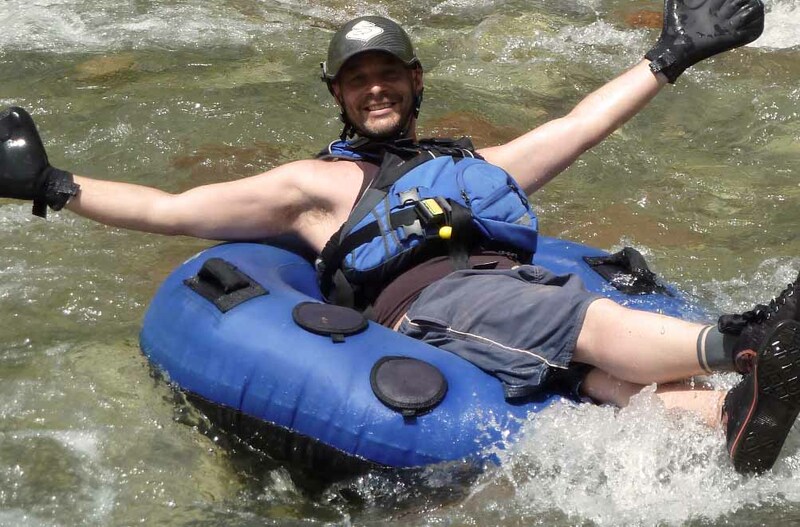 Our Editor, Simon Hawkesley, living proof that Tubing is a suitable activity for all age groups! which involves taking their tube upstream, 100 meters, an instructor assisted launch, returning downstream and back to the riverbank. This also helps the instructors assess levels of natural competence. Once all participants are comfortable the adventure commences. First an instructor followed, every 2 seconds, by a participant and finally an instructor at the rear to assist the stragglers, capsize’ors, gone-a-grounds et al. Hilarious ! Several stops are made down the gorge to reassemble and, in some cases, reconnect with a lost tube. An hour and half of beautiful scenery, donkeys, berber folk farming/washing, children swimming, mountains, rapids, whirlpools, lazy stretches…… and, of course, a selection of wetsuit clad adventurers, bobbing along and having the time of their lives. Having now assisted Andy and his colleagues on 3 separate Tubing occasions I feel that I am a qualified commentator in recommending this activity as a truly fun day out, well priced and an experience not easily forgotten. 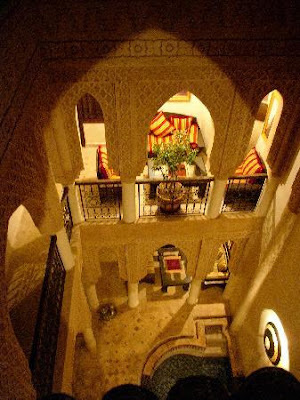 Splash Adventure Holidays can be built to order and run to suit your dates whilst enjoying accommodation at the beautiful Riad Laksiba. 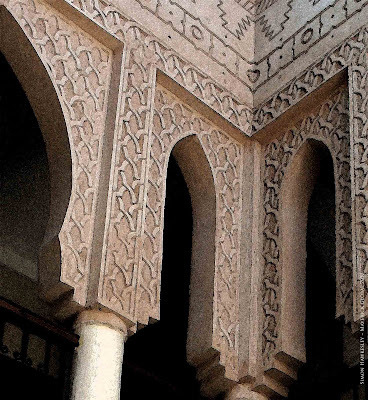 Morocco has a huge range of adventure activities and we can build this break to let you experience the adventure break that you have always dreamed off.